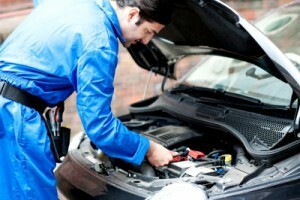 Mansfield, you can count on B&M Auto Specialists for excellent and ethical engine repair! Okay. So, you’re looking at your dashboard and you see that your engine light has come on. And now, you’re hitting the panic button. You’re probably wondering what it might be…imagining the worst case scenarios. No doubt, you’ve heard all sorts of horror stories when it comes to less than ethical mechanics providing engine repair. Whether you’re in Mansfield or in a surrounding community, we want B&M Auto Specialists to be the repair shop you trust for all of your engine work. Obviously, if you’ve got a warning light coming on your dashboard, it’s serious enough to warrant immediate attention. Maybe those leave you feeling intimidated. Without the necessary knowledge, you wouldn’t even know where to begin. That’s okay. You don’t have to know about engine repair. That’s why you have us. In fact, we don’t want you to worry about any of the “what ifs”. Our ASE certified mechanic will run only the designated diagnostic tests required to determine exactly what engine repair is needed for your vehicle. Even though we live in the wonderful and thriving city of Mansfield, in today’s economy, everyone is looking for a way to save money. That’s why we will opt to make a repair before having to replace a part. We want to save you money as well as keep your vehicle safe and functioning at its optimal level. Whether you live, work in or are just driving through Mansfield, if your engine light comes on, call us – or better yet – swing on by our repair shop and let one of our mechanics take a look at your vehicle. We’d rather you be safe than sorry!